Rock of Hope Baptist Church is a vital, dynamic church in Edmonds that is committed to the precious cornerstone of all hope—Jesus Christ. 1 Peter 2:6. Learn about our church and leadership model. at one of our facilities? We are pleased to share with the greater Edmonds community a sense of the events and messages that are an extension of the life of ROHBC. Please feel free to look and listen to the unfolding story of God's work among us. 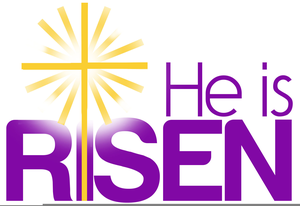 Celebrate Christ's Resurrection with us! ROHBC Men's Breakfast. The second Saturday of each month (calendar). Come join this multi-generational prayer time with the men of RHBC. Starts at 8am at the North Campus Fellowship Room. ROHBC Women's Brunch: The third Saturday of each month (calendar). Come join this time of multi-generational fellowship with the women of ROHBC. Starts at 11am at the South Campus Ellis Chape.